Thanks for your interest in DirtSmart MTB Coaching and Instruction. Chances are, you’re here to learn more about what to expect with DirtSmart MTB coaching. Good places to start? The MTB Skills instruction overview and my coaching philosophy. Also, check out the DirtSmart Videos/Articles/Blog for skills articles, videos. how-to’s, etc. and to get more of an idea of what DirtSmart is all about. View our clinic schedule and/or contact me about having a clinic in your area at dirtsmart.mtb@gmail.com or 303-886-0288, Andy. Feel free to hit me up if you have any questions or would like more information. 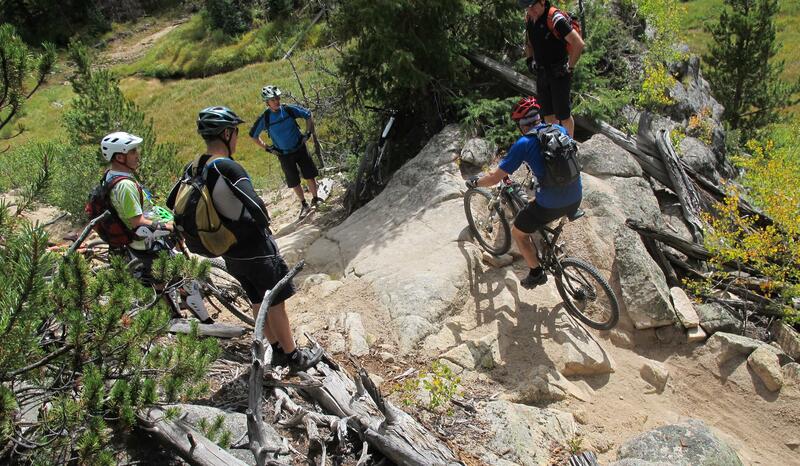 DirtSmart MTB offers the MOST clear and comprehensive premium MTB instruction available…BAR NONE! Consistently, after instruction, DirtSmart students come away from clinics/camps stating that they are able to understand MTB riding as simple (this doesn’t necessarily mean that it’s easy! ), and they are able to identify the proper techniques needed in any given situation on the trail. It is always my goal to break riding down to it’s most simple movements and back-up the techniques with an understanding of how the body needs to work — in athletic sense — with the design of the bicycle (some Science!!!). Position, weight placement, balance, vision, etc-and-much-more (click here for a camp overview), all need to be optimized in order to ride the bike well. This is crucial for riding at all levels, from the beginner rider, all the way up to pro-level downhillers where the most advanced techniques of MTB will be addressed. Students also leave the instruction with tools in the form of skills, drills, video, demonstrations, feedback, critiques, and a detailed curriculum to draw from and reference in order to always continue to improve their riding, no matter their ability level. DirtSmart MTB Instruction was developed from eighteen years of professional gravity racing; eight years of professional, certified MTB instruction as the Head Coach for Betterride, the oldest and most successful coaching instruction company on the planet; sports-med education; personal training; a lifetime of high-level motocross and years of MTB industry experience including Yeti Factory Race Team Mechanic, professional trail builder, and years of bike shop and other bike-industry experience. Obviously, knowledge of bike and equipment design; dealing with injuries, nutrition, training, etc., can and will also be addressed during instruction. 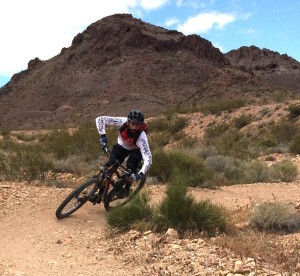 You WILL NOT find a better resource for improving your MTB skills then DirtSmart MTB. If you are a potential student, I highly encourage you to research any MTB instruction organization that you may intend to work with, the organization’s reputation, exactly whom will be leading your particular instruction, etc., and I am quite sure that you will come to the same conclusion. Feel free to contact DirtSmart MTB for any additional information.